DeForest’s fee encounter comes at a time when airlines are imposing all kinds of new junk fees. Virgin Atlantic is reportedly adding a $41 seat reservation fee for certain flights and United Airlines is doubling some baggage fees, for example. I agree with him. I’m not a frequent flier on Virgin, but I kind of wish I were. The airline has, in the past, gone out of its way for its customers, so I couldn’t believe it would stick it to someone like DeForest, who uses the airline frequently for work. By way of full disclosure, I’m not one of those bloggers who study loyalty program rules as if they’re holy scripture. I respond to complaints and try to solve them. So I suggested DeForest contact Virgin in writing, to make sure this wasn’t a misunderstanding. DeForest doesn’t buy it. He calls the redeposit charge a “junk” fee — after all, how much can it cost to put his miles back into his account? — and suggests it’s just another revenue generator for an airline like Virgin. An airline, by the way, that ought to know better. You probably don’t have to dig too deep to find out what’s going on here. For the last two quarters, Virgin America has reported healthy profits. The last quarter was a record. As I reviewed its latest earnings, my eye fell to the “other revenue” category, which is likely to include fees and surcharges. They’re up 15 percent to $35 million from the year-ago quarter, thanks in no small part to fees like DeForest would have paid. 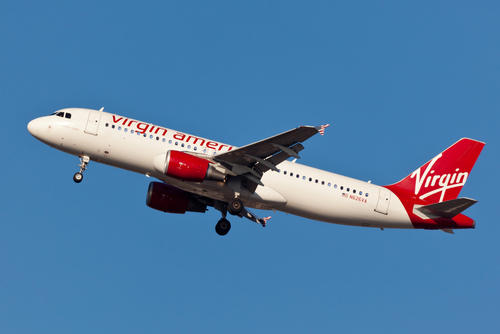 Who can begrudge Virgin or any of the other airlines making money? After all, that’s what they’re supposed to do. But somehow, we always assumed they’d build their profits on charging us for an actual service, not a junk fee that passengers like DeForest can’t seem to justify. If you take a little time to dissect DeForest’s problem, the absurdity becomes obvious. DeForest participated in Virgin’s revenue-based “loyalty” program, which means he spent real money to fly on the airline. In exchange for his business, the airline offered him non-revenue seats — the kind that would have gone unoccupied. His plans changed, and now Virgin wants to charge him more money and it will probably either resell the seats or give them to other frequent fliers, effectively double-dipping. Is this what loyalty looks like in the 21st century? If so, count DeForest out. Have airlines gone too far with junk fees?